A forest that is the only place where rhinos, tigers, elephants, and orangutans coexist is under threat from planned infrastructure, mining, logging, and plantation projects, warns a new report from the Rainforest Action Network (RAN). The report, issued Monday, looks at one of the last vestiges of wilderness on the island of Sumatra, which for the past three decades has been heavily ravaged by logging, fires, and conversion to industrial timber and oil palm plantations. This area, known as the Leuser Ecosystem, is today a battleground between business-as-usual interests seeking to mine its forests and a collection of conservationists, local communities, and a collection of companies seeking to steward its resources. 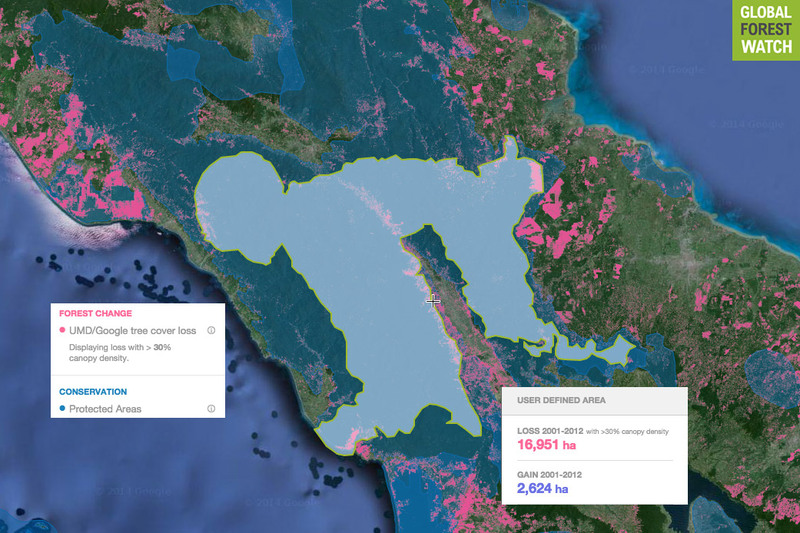 RAN's report details many of the threats to Leuser's ecosystems, including a proposed zoning law that could open up large swathes of forest to deforestation, new road projects that could bisect protected areas, and ongoing encroachment by plantation developers and illegal loggers. RAN focuses specifically on industrial drivers of deforestation in the 2.6 million ha area, namely palm oil, mining, logging, and pulp plantations. It calls on the Indonesian government — both Indonesia's central government and the Aceh government — to adopt measures that protect Leuser's natural ecosystems. "The Leuser Ecosystem is now an epicenter of palm oil plantation expansion and combined with unchecked mining, logging, industrial pulp plantations and poaching in the region, this vital ecosystem is facing a perfect storm of destruction," states the report. "President Joko Widodo must uphold Indonesian national law and ensure that these protections remain in place for this global treasure. But the Indonesian government cannot secure the fate of this critical ecosystem alone. The fact is that in order to protect our precious remaining rainforests—in the Leuser Ecosystem and across the globe—and to respect the rights of Indigenous Peoples and rural communities we must fundamentally transform the way that palm oil is produced." The report points to some companies that have established "zero-deforestation, zero-conflict" policies which aim to do just this. 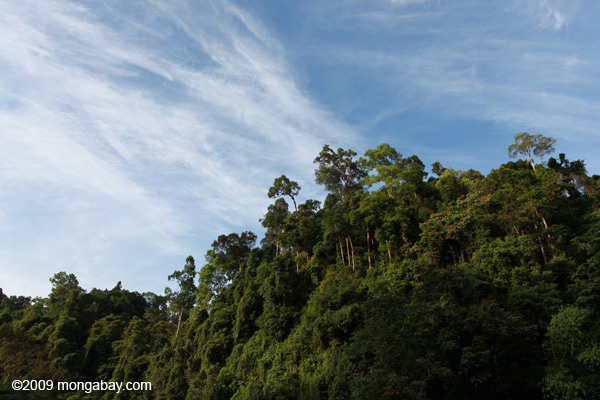 But it also lists more than two dozen plantations that have been established within the boundaries of the Leuser Ecosystem. RAN says that some of the "conflict palm oil" produced within Leuser ends up in international markets, potentially posing a risk for companies that lack social and environmental safeguards in the sourcing policies. "Palm oil growers, processors, traders, financiers, consumer goods manufacturers, the Indonesian and Aceh government and communities all have important roles to play in protecting the Leuser Ecosystem as the decisions they make will determine if this area is protected for future generations or opened up to new and destructive developments," RAN says.